If you want to build sophisticated websites that can be easily edited and updated, you need to master Joomla. Now there�s an easy-to-read, easy-to-use guide to Joomla! for every site manager, administrator, and developer. Leading Joomla! consultant Barrie North covers all you need to get results: installation, administration, site organization, template development, content updates, and a whole lot more. You�ll find tips, tricks, and troubleshooting solutions, as well as three start-to-finish case studies. 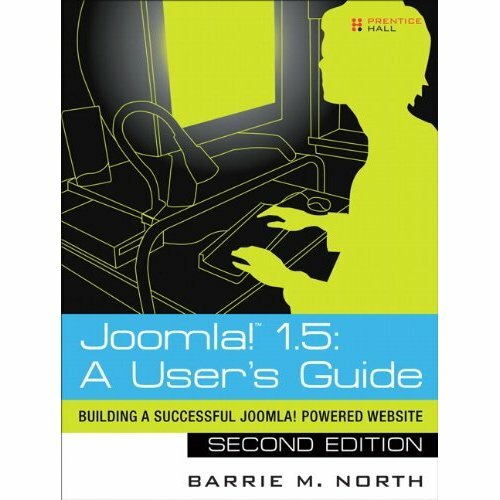 New to Joomla? No problem! This book starts with the simplest design and system concepts and builds your expertise step-by-step. You�ll rapidly master Joomla!�s power, even if you have no content management, scripting, or CSS expertise. Experienced with Joomla!? You�ll turn to this book constantly for its authoritative, plain-English, example-rich Joomla! 1.5 reference content.